Morocco, a fascinating North African country! 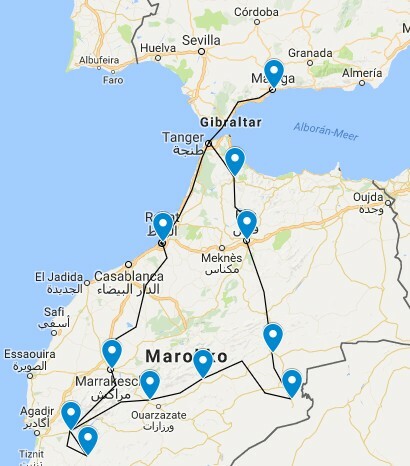 Morocco offers a unique and diversified motorcycle adventure. 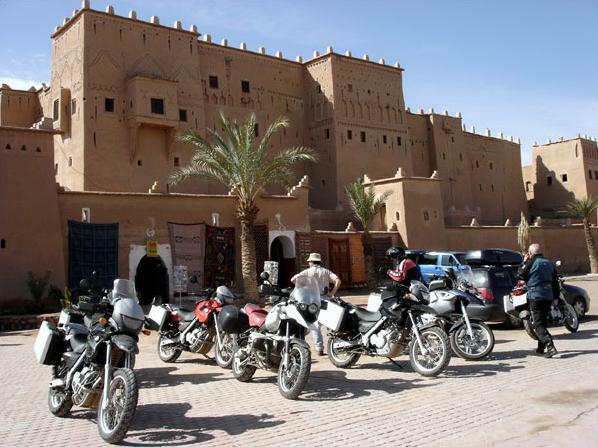 This tour leads you from the Mediterranean Sea, along the Atlantic coast over the mountain ranges of the High Atlas to Marrakech - the pearl of the South - and to Morocco's largest sand dune region. Ride with us along twisty roads and enjoy beautiful scenery and spectacular views. Dive into the oriental culture! 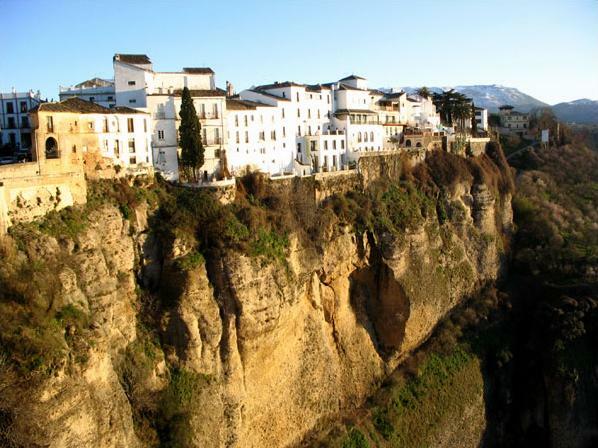 This round-tour starts in Malaga, Spain and takes you over the Strait of Gibraltar to North Africa, where you will dive into the oriental culture. 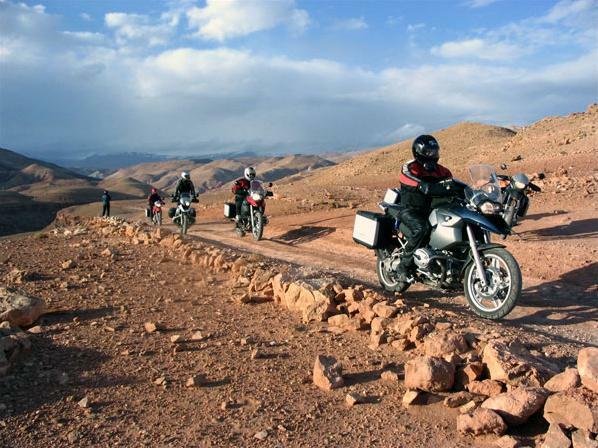 You will ride along fantastic beaches, through hilly landscapes and over some breathtaking Atlas Mountains roads, accompanied by snow-capped mountain peaks which reach elevations of about 4000m/13000feet. 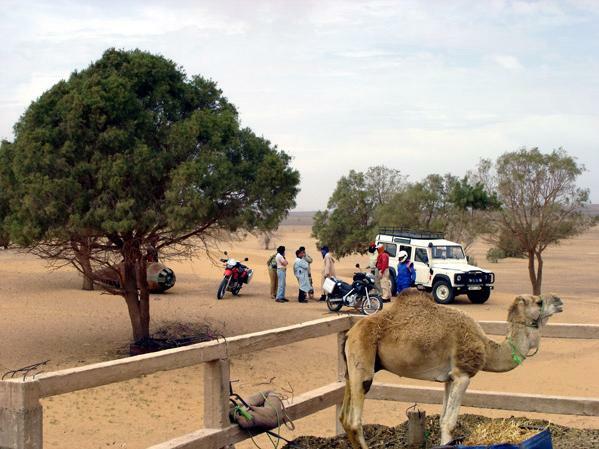 You will visit Morocco's biggest oasis, the fascinating city of Marrakech, and explore the desert and its sand dunes in all possible ways; on foot, on motorcycle or on the back of a camel. You will enjoy the stunning view of Dades Gorge breakthrough and have the feeling of returning to medieval times, when visiting ancient parts of the city of Fes. Each night you will relax in first class hotels and one night you will stay in a desert camp. Enjoy traditional cuisine like Tajine or Couscous with oriental spices and the delicious tea “Thé à la Menthe”. Riding two-up is no problem for any experienced rider. A support vehicle will carry your luggage and can accommodate some passengers. Note: All prices are based on a minimum of 6 riders per group.